The internet search giant said that Netflix subscriptions were a limited offer. Just one day after launching its tiny little streaming TV dongle, Chromecast, Google has announced the cessation of a free Netflix promotion that was attached to it. Potential consumers were not thrilled to hear the news – with the Netflix promotion considered (valued at $24), it essentially lowered the cost of Chromecast to an impulse-buy-friendly $11. Google insists that pulling the Netflix promo is a simple case of supply and demand. “Due to overwhelming demand for Chromecast devices since launch, the 3-month Netflix promotion (which was available in limited quantities) is no longer available,” said the official statement from Google. Tech Crunch is reporting that Amazon will honor the free Netflix promotion for customers who purchased a Chromecast before 5:31 PM EST on July 24. Chromecast sold out almost immediately upon being launched at Wednesday’s “Breakfast with Sundar Pichai” event. Retail outlets like Amazon.com and Best Buy are completely out of stock – even Google’s own Play Store is claiming a three to four-week delay in shipping. Many in the tech industry are left scratching their heads, wondering if Google grossly underestimated demand for the $35 streaming TV stick – or if the internet search giant is thrilled to have run out of inventory so quickly. Regardless, at such a low price point, Chromecast is all but guaranteed to remain popular. Unless a major hardware issue or bug pops up with the first retail run, expect Chromecast to continue flying off the shelves. 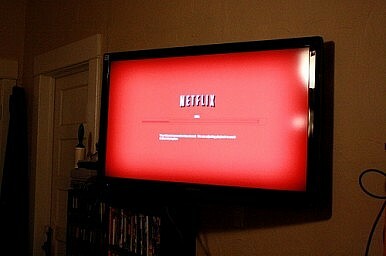 The Netflix incentive sell-out comes alongside news of a Google-branded set-top box. According to the Wall Street Journal, Google privately demoed a prototype of something that more closely resembles an Apple TV or Roku at the Consumer Electronics Show last January. WSJ said that the device “was powered by the company’s Android operating software and had as a core feature Google’s video-conference service, Hangouts.” It also sported a video camera and motion-detection sensor, according to the report. Engadget is also reporting that hackers have already dug up a Chromecast configuration file that appears to list test apps outside of those already announced at the device’s launch. The alleged test apps are for Pandora, HBO Go, Revision 3, and Songza. The internet search giant unveils a unique solution for streaming content to TVs.